It seems there’s never enough time to get all those allotment jobs done. 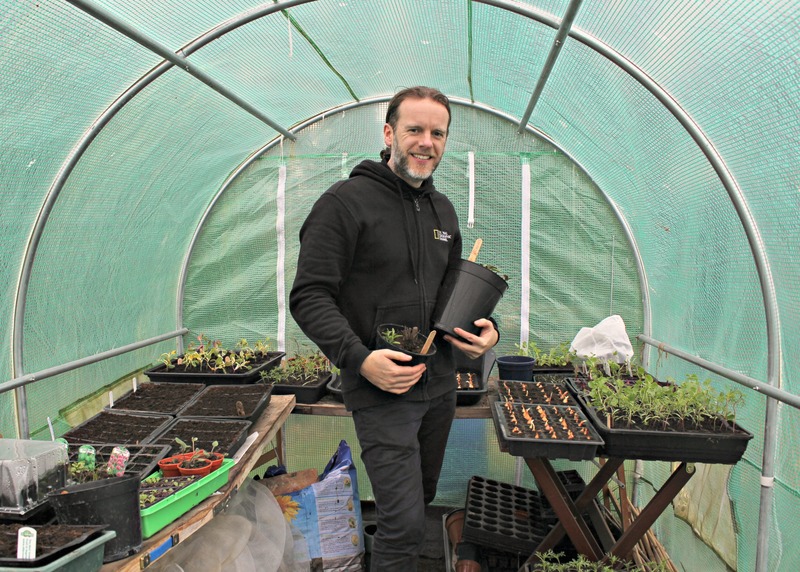 You spend all week planning how to get the most out of those precious weekends on the plot, that when it comes round and tasks are completed, several more are only too keen to rear their eager heads. But that’s what gardening is, a continuous cycle. We do, we learn, we move on. 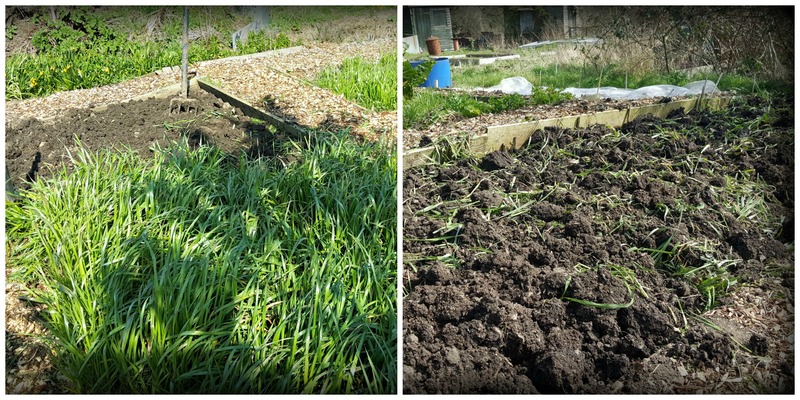 For me, it was a weekend of turning soil, sowing seeds in the polytunnel, warming beds and chopping and digging over the green manure. However, something I am doing a little differently this year is germinating my parsnip seeds at home in a propagator. I always find parsnip seeds are a bugger to get going. Once they’re off, it’s a different matter. Although the finished result can come in a multitude of unusual shapes and sizes, they still taste great. So now I’ve challenged myself to grow the ultimate parsnip. 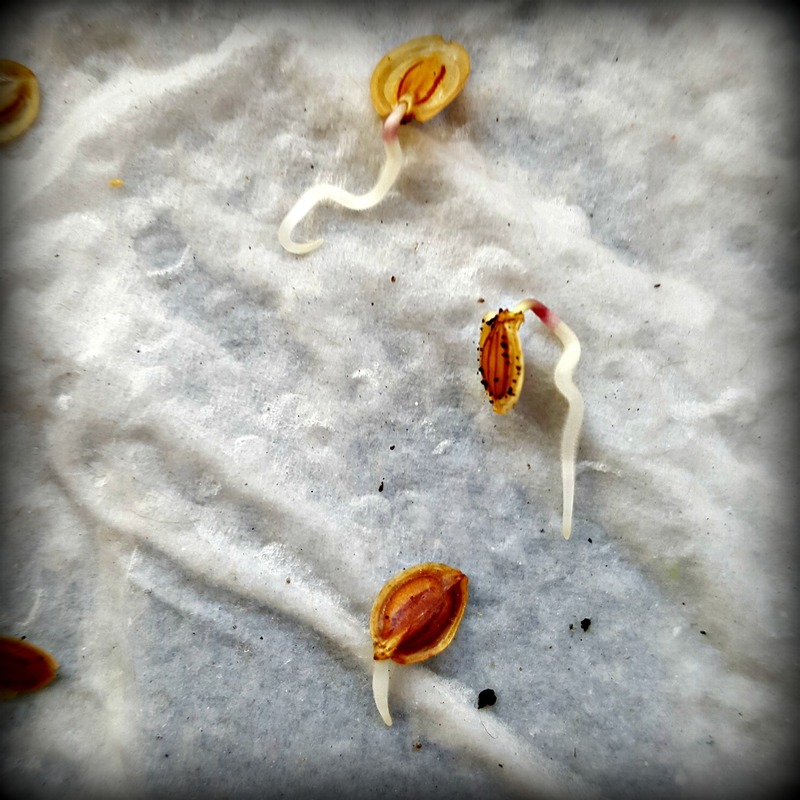 It took a week for the seeds to germinate, but with their first shoots emerging, I took them up to the allotment. On the plot I decided to create holes with the dibber then backfill with sifted soil, place the germinated seed on top and lightly cover. I could be way off the mark here but my thinking is, a clean route down will mean less encounters with stones thus preventing forking. Who knows? I’m committed now and the quest for the ultimate parsnip has begun. Wish me well as I set sail on the voyage of parsnip discovery. However, if you can keep a secret, there’s another project I’ve been working on, locked away in my garden shed. But before I return, under the cover of darkness to proceed with my covert operation, I wanted to share some pictures of my wallflowers and our sole Fritillaria meleagris ‘Snakes Head’. More of Operation Build soon.. Over and Out! I too have just one Fritillaria sitting in the soil by the garden tap. Ok I now need to know why your poly-greenhouse withstood the storms last weekend. Maybe you were spared the 85 mile an hour winds that we had in the South West. Mine was demolished but has been repaired and is now upright and covered again but it’s left me nervously watching weather forecasts. Despite one vertical pole being bent up, I have to say, we got lucky with the polytunnel. Other plot-holders lost their sheds & polytunnels. Good to hear yours is back up and running.